This is a pair of stock offset Brawler Clod Buster Wheels. 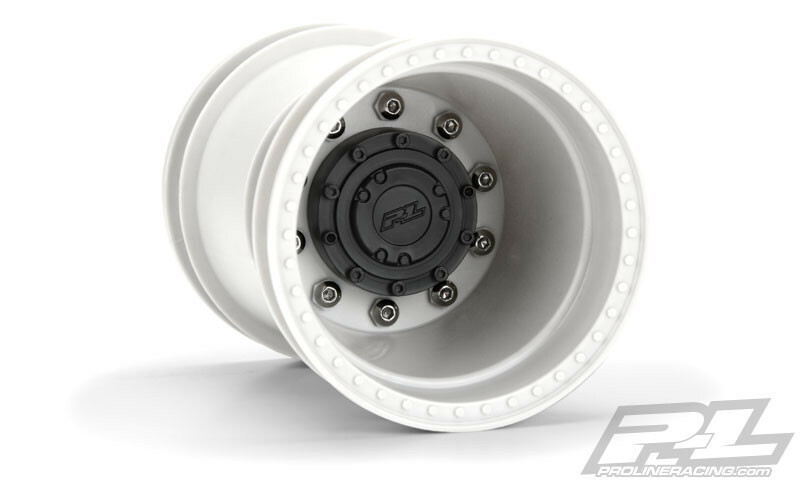 Pro-Line is proud to introduce a new scale Monster Truck Wheel for Solid Axle Monster Trucks: the Brawler 2.6” White Wheel! The Brawler wheel is a perfect match for Pro-Line’s Destroyer 2.6” tires and has all of the scale detail you would expect out of a Scale Monster Truck Wheel. The Brawler is a white 12mm Hex glue up style wheel with a black hub cap that completely covers up the non-scale looking wheel nut, giving your truck the ultimate scale look. This stock offset version has the same wheel offset as the stock Clod Buster wheels.